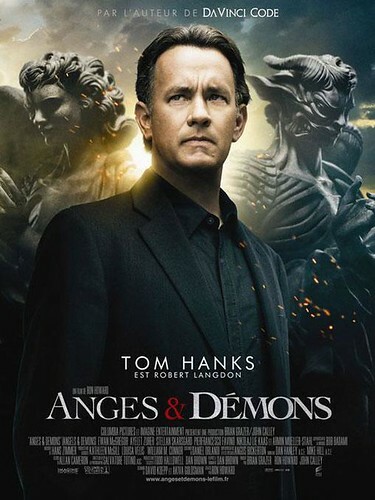 Angles And Demons which is a mystery-thiller Novel, written by American author Dan Brown and was published by pocket books, is now going to become a movie, This movie basically revolves around to solve the mysteries of a secret society, known as llluminati. The story in the book is a conflict between science and religion, mainly between the llluminati and the Roman Catholic Church. The Novel has a main character of Robert Langdon, This novel is like a sequel of Brown's novel Da Vinci Code, and also shares some similarity like, the Conspiracies of secret Society and the catholic church. The movie will be released on may 15th . angels & demons, originally uploaded by mykiru. I saw Ewan McGregor on http://abcnews.go.com/gma this morning. You might enjoy watching. The outfit he wore as the priest was actually designed by the Pope's tailor. Good post you wrote here.